Foreign Minister Shah Mehmood Qureshi has said that world has changed in political dynamics and Pakistan was no longer 'darling' of the West. He said Pakistan will be represented effectively in the world, adding that all the state institutions of Pakistan are on the same page. “We do not want Pakistan's name on the Black List,” asserted Shah Mehmood Qureshi. 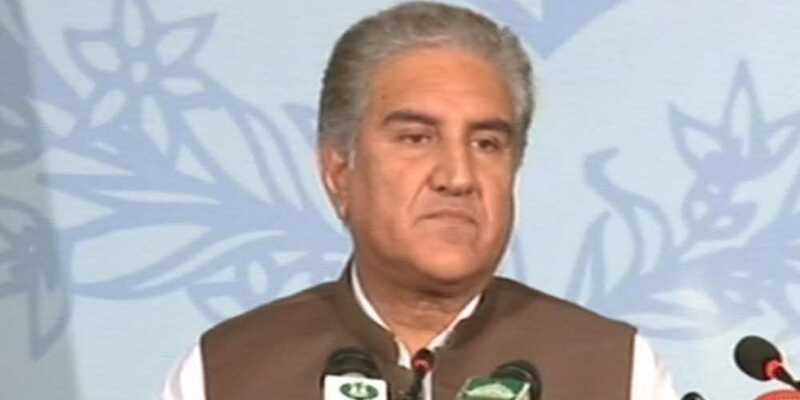 Commenting on US State Department's readout on the phone call between PM Imran Khan and Secretary of State Michael Pompeo, Qureshi said it was 'contrary to fact'. He said Chinese foreign minister will visit Pakistan on the 8th or 9th of September. The Foreign Minister said Pakistan received a letter from Indian FO, adding that Prime Minister Imran Khan has clearly indicated that if India takes one step forward we will reciprocate by two. Earlier, Prime Minister Imran Khan said that Pakistan doesn’t want confrontation with any country and that there would be no compromise on national interests. The prime minister visited Foreign Office today where got his first briefing on challenges and opportunities available to the country as the new government fully takes charge. He directed the Pakistani missions abroad to improve their performance and play more constructive role. Sharing his vision, the PM said the PTI government wanted better ties with the neighbouring countries. Regarding India, Khan said resolution of chronic issues is a must for regional progress. The PM was briefed that ties with US are strained and that visit of Secretary of State Mike Pompeo next month expected to bring thaw between the two countries.